The CSR TIMES Awards 2018 encourages Corporate, Corporate Foundations, NGOs, Government and Public Sector Undertakings, Individuals or Group of Individuals to deliver high impacts through CSR projects and adopt multi-stakeholder approach leading to excellence in project outcomes. CSR TIMES Awards is one of the most prestigious recognitions, honouring the outstanding and innovative CSR practices at pan-India level, to encourage sustainability and social enterprise projects, and leadership in CSR that contribute to the dedicated cause of developing our nation together. 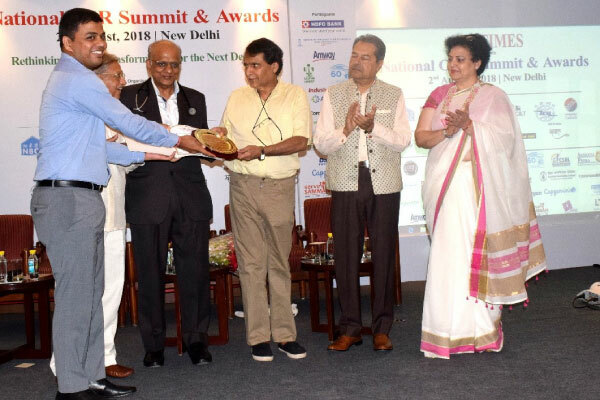 The Akshaya Patra Foundation was awarded Health Impact NGO under the Bronze category at the CSR Health Awards organised at Hyatt Regency Delhi. This was to recognise making an impact on the health of citizens the country. Honourable Prime Minister, Shri Narendra Modi, served the 3 Billionth Meal to a child at the commemoration in Vrindavan on Feb 11, 2019. Note : "This site is best viewed in IE 9 and above, Firefox and Chrome"
Support us with an online fundrasing campaign! New User? Sign Up Forgot Password ?